I can’t say exactly why, but X was inclined to defend The Enigma and stated how he was a real nice and interesting guy, as if “weird” were a negative adjective. For some, maybe it is, but not for me. 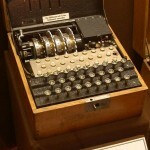 So The Enigma is weird. But I don’t count weird as a pejorative. It may not be as neutral as “tall” or “red,” but without going into how even those simple adjectives could be described as insulting by some, I group weird as a part of a set of word that are not negative in connotation. After all, I count myself as weird (though not as weird as The Enigma). I grew up in a small town in North Mississippi. I was a Roman Catholic born in Ohio. So I spoke funny, looked a little funny (due to my Portuguese heritage and squinty eyes), was the wrong religion, didn’t like or follow sports or hunting, and was apparently from a family of carpetbaggers. I started off weird. My natural shyness didn’t help, nor did my gregarious dual nature once I was comfortable with a group. Then add on top of that my love of all thing monsters, and I just got weirder. THEN add on top of that my later discovery and love of all things magical … and well let’s just say I really didn’t fit in. I was weird. I didn’t look terribly weird – assuming I wasn’t wearing bell bottom jeans, or sweat pants pulled up to my chest, or really, really big hair. OK, maybe I looked a little out of place too. Eventually I just got used to being different, then I came to embrace it. Weird is cool. Weird is good. Weird is individual, unique, and different. Weird people do things that other people don’t even imagine doing until years later. Weird people create art and games. Weird people design things that set other people to scratching their heads in wonder. Weird people are awesome.